Carlton Towers - after the fire, originally uploaded by amulya. Almost a month or more after the fire, the building still lies with its broken windows, screened with plastic bags. 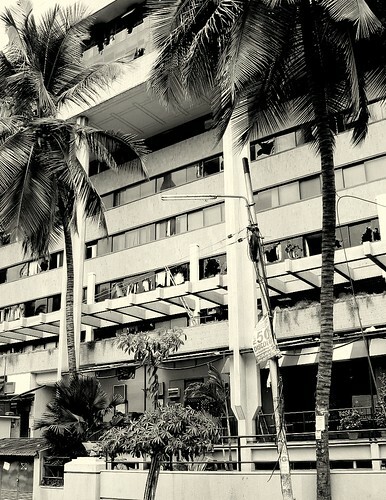 Bangaloreans miss TGIF the most... and Corner House, Indijoes... but the offices above - what about those? What is happening to one of Bangalore's favorite spots?